We are fortunate to live in a time when prioritising health and wellbeing is encouraged. It is not unusual to implement a periodical detoxifying program to eliminate excess toxin build-up to optimise normal organ functioning. Detox programs are a wonderful way to sweep through and clean up internal toxins and inspire healthier habits however, have you ever stopped to think about how you live? Your day to day to surroundings? The surfaces and products that you come in contact with? Whilst we are not encouraging anyone to move to a remote mountain top away from any man-made products and industrialised facilities, we are hoping to inspire mindfulness and awareness to your everyday habits that may be adding to your toxic load and placing more pressure on your body than is necessary. Common sources of environmental toxins include air pollution, cleaning products, plastics, renovations and occupations and perfumes, cosmetics and personal care products. Did you know that the average woman applies 500 chemicals to her body every day? Many of these chemicals are absorbed into the body and can be detected in the blood and urine. Toxic chemicals such as phthalates, parabens, sodium lauryl sulfate (SLS) and aluminium (to name a few!) are commonly used in conventional personal care products and studies have shown that persistent use of these chemicals can cause havoc with our endocrine, reproductive, immune and nervous systems. A 2016 study found that repeated exposure to phthalates (which are also found in plastics – most notably food packaging, as well as flooring and other industrial products) induced oxidative damage to both DNA and lipids leading to acute and chronic disease (Lin, et al., 2017). Now we have only just scratched the surface of the harmful chemicals found in one facet of our daily routines, the list of everyday external toxins is long! Rather than provide you with a dictionary of chemicals for you to decipher, we’ve put together a handy list of simple changes you can make to limit your exposure and avoid adding more pressure to your vital organs. Source quality fresh food – shop at your local farmers market if this is an option for you. Always WASH your fresh produce! Tip: fill your sink with filtered water and add ¼ cup white vinegar, soak for 20 minutes. Opt for wild-caught fish – avoid all farmed fish, particularly larger carnivorous fish and salmon. Use glass, ceramic or stainless-steel containers for heating or storing hot food – avoid plastic wraps/cling films. Avoid non-stick or Teflon cooking implements as these are a source of nasty perfluorinated compounds. Carry a reusable Keep Cup for takeaway drinks, carry a glass or stainless-steel water bottle – avoiding plastic water bottles and plastic lined takeaway cups. 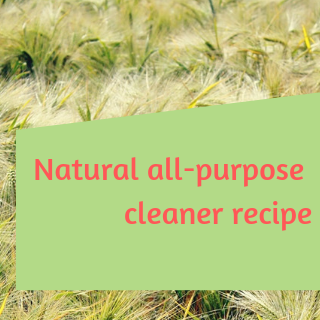 Start using natural cleaning products & air fresheners – choose products that are fragrance-free or products that use pure essential oils for scent. Abode products are amazing or you can always make your own. Begin moving to natural cosmetics, perfumes and skin products – again avoiding fragranced products and opt for a deodorant that does not contain aluminium. Try the Deodorant Paste #2 by Twig Botanicals – a local business from Toronto. Invest in a water filter – Look for a filter which removes: bacteria, parasites and fungi, heavy metals, environmental pollutants, chlorine and fluoride. Check out Zazen water filters. This is the one we have in the clinic & use at home. It removes all of the above, replaces minerals and alkalises the water. Let us know if you want to order one as we can get you a significant discount and have it delivered to your door. Avoid cigarette smoke & reduce your intake of alcohol, caffeine and over-the-counter medications – these all tax our detoxification organs thereby reducing their ability to detoxify other environmental toxins. Open your windows daily – Indoor air is the most toxic due indoor dust and the off-gassing of your furniture, paints and carpets. You may also consider investing in an air filter – amazing for sinus and asthma sufferers. I recommend the WINIX ZERO+ PRO 5-stage air purifier from Ausclimate. To order call Scott from Ausclimate on 0438 978 911 and tell him that you have been referred by me to get a discount. Get rid of mould & mildew – Air rooms and wipe away and visible mould with microfibre cloth with a couple of drops of clove oil. Mould can also hide behind walls, so if you suspect this (e.g. the room always smells musty) you can have a building biologist do a house inspection. Please remember we live in an ever-changing and technologically advancing environment, even the smallest changes can make a huge difference in your lifelong exposure (as many of these toxins build up over time). Do not be overwhelmed by the concept of environmental toxins, instead educate yourself on the information that is available and use your new found knowledge to make conscious decisions. Bi-carb soda, vinegar, lemon juice, clove oil, eucalyptus oil, Castille soap. Most items you will already have at home and all items are inexpensive. Heal your body, reduce your environmental impact and save money – it’s a win, win! Pour all ingredients into a spray bottle, allow to settle (the bi-carb will fizz and react with vinegar initially) before using! The Environmental Working Group (EWG) shopper’s guide to pesticides in produce – The Clean 15 and Dirty Dozen! Every year the EWG (a non-profit organisation based in America dedicated to protecting human health and the environment) release their much anticipated Clean 15 and Dirty Dozen list to the public. This list is updated every year to reflect the most current research on pesticide levels in fresh produce. Whilst the list is created for mainland America, the information can still be applied to Australian fresh produce because many farming practices are replicated across the industrialised world. It is not always possible to eat organic, so when organic isn’t an option, arm yourself with this handy list! Clean 15 – these items are not as heavily sprayed as others, however, ALWAYS remember to wash your fresh produce! Dirty Dozen – always buy organic! This article appeared in our March newsletter. To read up to date information from the Wellness Vision team as well as be the first to know about all the latest natural health insights that could ultimately change your life, sign up to our newsletter today!